Easter is almost here! Hooray! The twins (age 2.5) are still too young to understand holidays – but they sure know what bunnies, flowers, and carrots are! Despite their lack of understanding, I still think they “need” to have Easter baskets. Since your average toddler has the same attention span with a new toy whether you spent $1 or $100 on said toy, I headed to my local Dollar Tree the other day for Easter basket makings. Me + Dollar Store + Holiday Time = Sheer Happiness! But for my little ones, at this age, it’s all about instant gratification. What’s going to keep Miss B and Sir R entertained NOW? The Dollar Store is great for this. 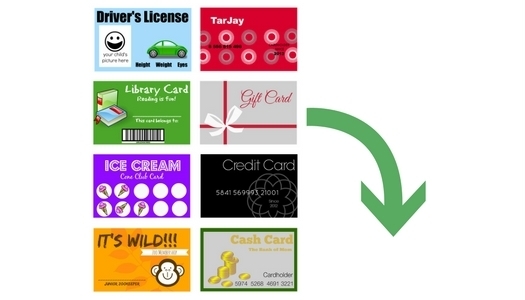 $1 will buy you some precious entertainment when you have a family gathering or are eating out in a restaurant or even in the doctor’s waiting room. 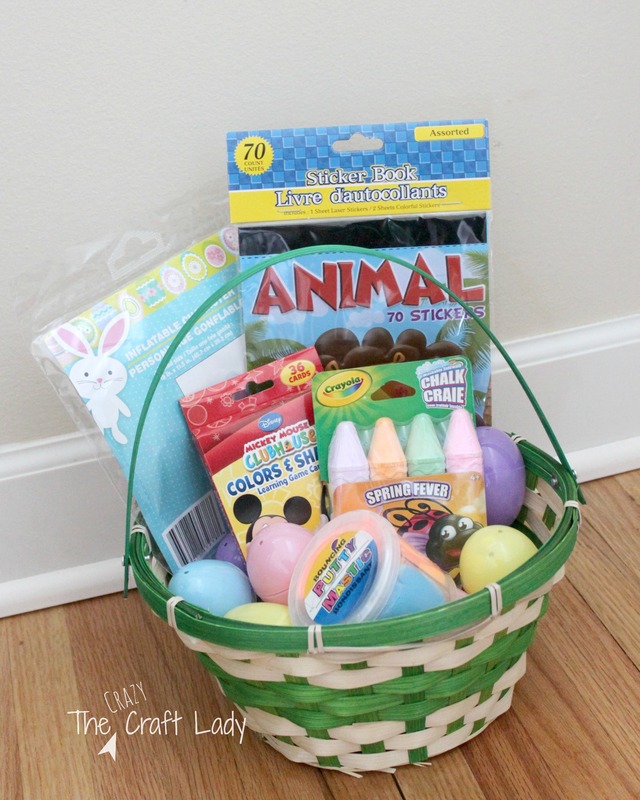 This year I made simple Easter baskets with items from the dollar store. Nothing crazy, just a few items per child. 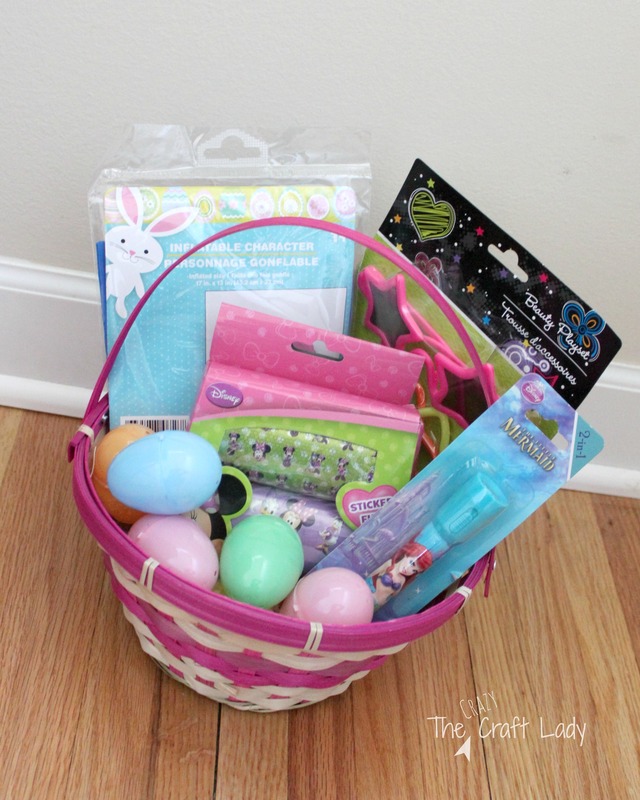 Each basket is lined with plastic eggs that will be filled with healthy treats (cheddar or graham crackers, raisins). 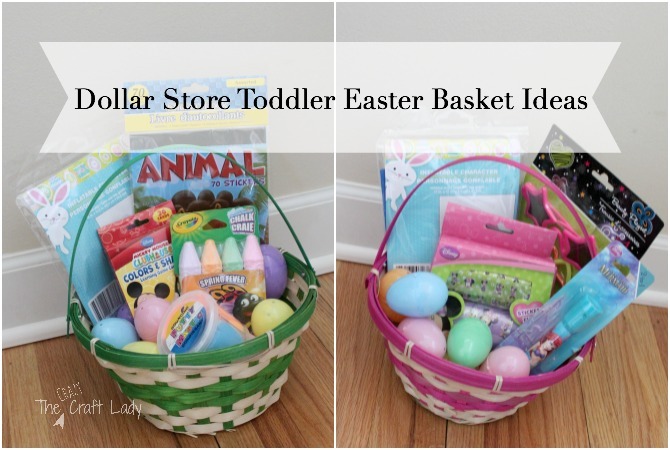 Here’s my list of toddler-approved toys and activities to include in your Easter baskets this year. 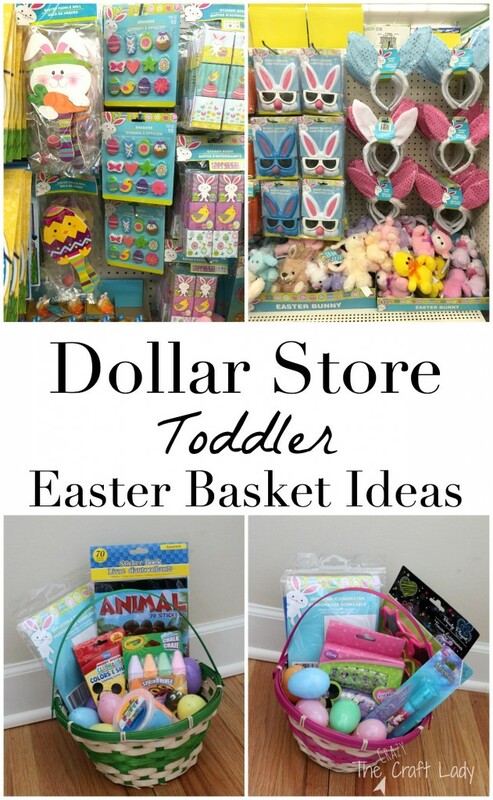 Most of these items can be found at your dollar store or other big box retailer for little cost. I put a $10 cap on each basket this year. 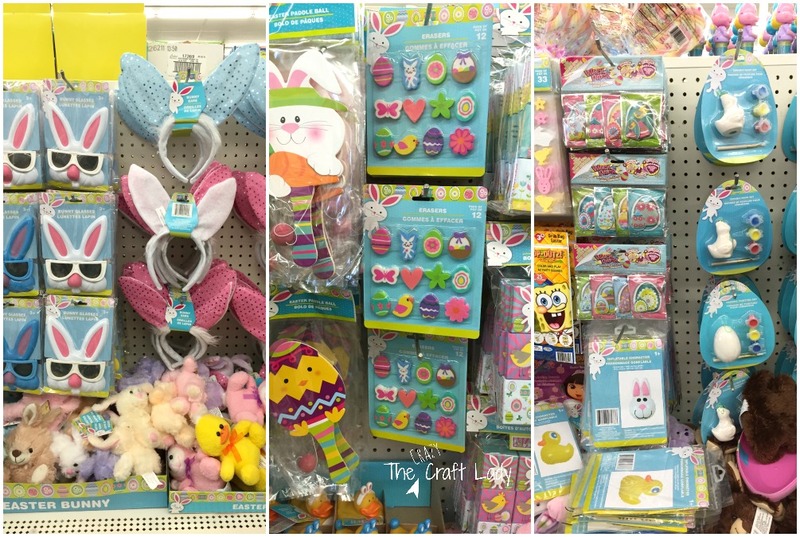 You can get all sorts of crazy with $10 at the dollar store… Just sayin’. So that’s it. Did I miss anything? I would love to hear from you all!